Star kids in Bollywood often catch up with each other for a play date. 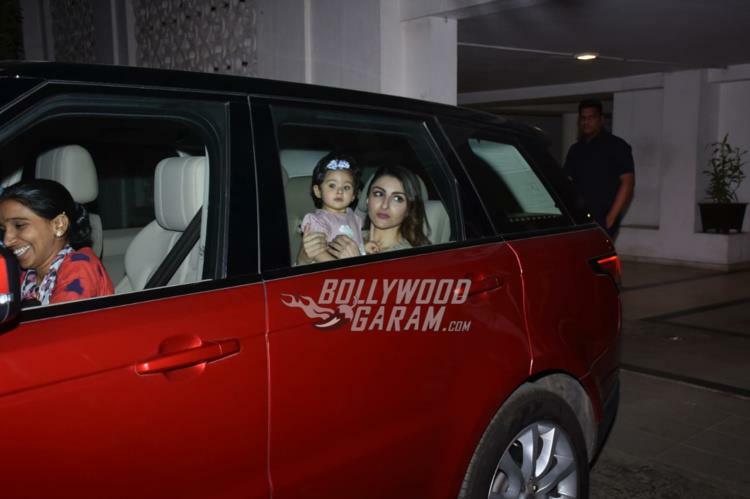 Soha Ali Khan was snapped with daughter Inaaya Naumi Kemmu as they arrived at Karan Johar’s residence in Mumbai on October 30, 2018. Seems like, Inaaya had a play date with Karan’s children Roohi Johar and Yash Johar. Inaaya looked adorable in a pink top as she watched the paparazzi click her pictures. 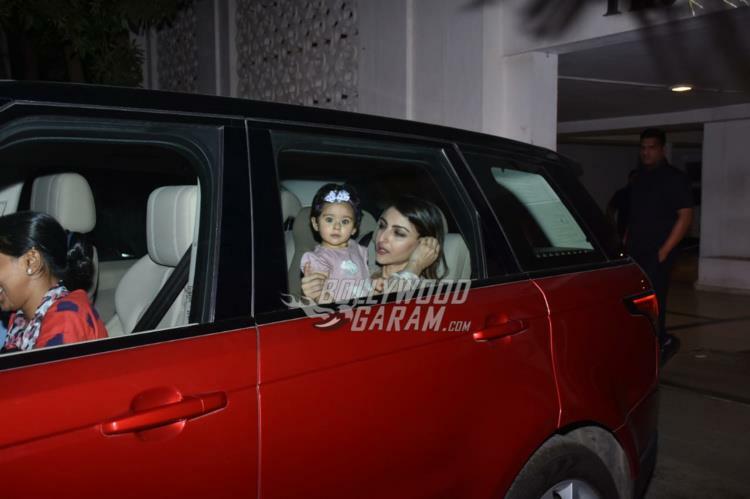 Mother Soha was seen engrossed in a conversation with daughter Inaaya. The little one gave the most innocent looks and flaunted a purple bow on her hair. Mother Soha in various interviews has expressed that she wants her daughter to have a normal upbringing. Inaaya has been under the media glare for every place that she visits. 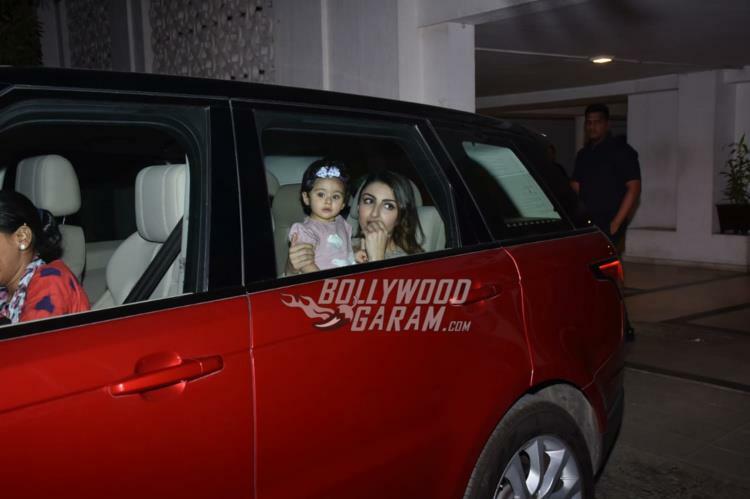 Soha has also mentioned how things have changed ever since Inaaya was born. Inaaya was born to Soha and Kunal Kemmu on September 29, 2017. The actress has been away from Bollywood but turned author when she announced the book The Perils of Being Moderately Famous.